A surge of superiority by the Eastern Conference is not likely to abate in 2018. Toronto FC is again head of the class and a pack of pursuers is led by Atlanta United, Chicago and the two New York teams. There are new head coaches in New England and Montreal, and a lot of expectations for the men in charge at Philadelphia and Orlando City. Since the season starts at BMO Field (Toronto FC-Columbus, Saturday, 1 p.m. ET) and the team that calls it home is pretty good, we’ll start there. Canadian conversion. Flash back just three years, and the two eastern Canada teams were the talk of MLS for opposite reasons. Montreal had battled all the way to the Concacaf Champions League finals, which it lost to Mexican powerhouse Club America on aggregate, 5-3: Toronto FC set out for the 2015 season as the only team in league history to miss the playoffs eight straight times, matching perfectly the eight years of its MLS existence. Now Toronto FC is coming off the best season in league history – winner of the Supporters’ Shield and MLS Cup as well as the Canadian Championship – and Montreal is starting anew with former French international Remi Garde as head coach. 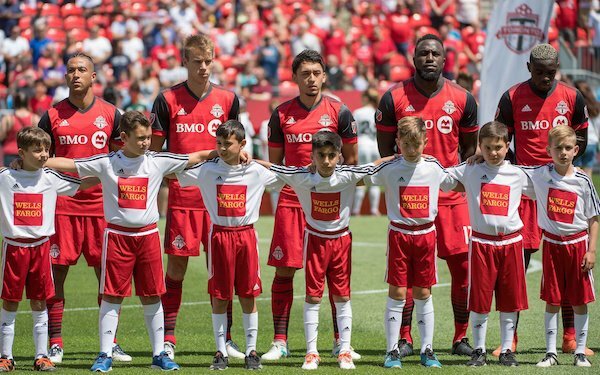 The Impact is one of several Eastern Conference teams that has dropped far off the pace set by TFC and needing extensive improvement to make up ground. Last year was not the best of Sebastian Giovinco’s three MLS seasons yet Toronto FC scored 74 goals and racked up a goal difference of plus-37 using different lineups and formations. It looked a bit shaky in the playoffs while dispatching the Red Bulls on away goals (2-2 aggregate) and edging past Columbus with the only goal of the series, but utterly throttled a hot Seattle team, 2-0, in the final. TFC has lost several valuable role players -- including Steven Beitashour and Raheem Edwards -- from its teams that reached back-to-back MLS Cup finals. Reduced depth and the threat of complacency are always issues for top teams, but the squad assembled by head coach Greg Vanney and general manager Tim Bezbatchenko has been deep enough and versatile enough to spread the minutes among 16-18 players with negligible drop-off in results. Dutch veteran Gregory van der Wiel and Brazilian Auro (on loan) have been added to the back line; another newcomer, Basque midfielder Ager Aketxe, debuted impressively as a sub in a 0-0 tie with Colorado Tuesday that advanced TFC to the CCL quarterfinals. TFC is simply once again the team to beat. Speaking of Edwards, he’s one of a dozen newcomers brought to Montreal, which after losing a riveting playoff series to TFC, 7-5, on aggregate in 2016 plummeted to ninth place with just 39 points. Still in the picture are stalwarts such as Ignacio Piatti, Matteo Mancosu, Dominic Oduro, Victor Cabrera, Evan Bush, and Anthony Jackson-Hamel, so Garde is not without talented options. Yet the growing pains for coaches new to MLS, especially foreign ones, can be severe. The Impact is one of many teams in the league that could be surprisingly good or decidedly mediocre. New era for New York teams? The 2017 seasons for New York City FC and the Red Bulls encapsulated the nettlesome dynamic that is MLS. NYCFC rolled to second place behind TFC and were skunked in the playoffs by Columbus, which took the first leg, 4-1, at much-maligned MAPFRE Stadium and hung on for a 2-0 defeat at Yankee Stadium that was enough to prevail on aggregate, 4-3. Sixth-place NYRB thumped Chicago in the Knockout Round, 4-0, and dropped out against TFC on an away goal. Maybe New York City FC will sink a bit with Andrea Pirlo finally retired, though the losses of robust winger Jack Harrison and defender Felix Brilliant are also significant. Maybe the Red Bulls are truly on the rise and are to be led by recently signed string-puller Kaku, a much younger (23) replacement for Sacha Kljestan. After several imports struggled in the first season under NYCFC head coach Patrick Vieira, he and the staff upgraded the squad significantly for 2017. For 2018, Cedric Houtondji will challenge for a starting job in central defense, and the loss of Harrison and advancing age of David Villa (36) prompted moves for striker Jo-Inge Bernat and wingers Ismael Tajouri and Jesus Medina. Flying under the radar is right back Anton Tinnerholm, named Allsvenskan Defender of the Year for his work with Malmo, which has won three of the last four Swedish league titles. For the New York Red Bulls, this is Year 4 under head coach Jesse Marsch, who is the first man in league history to trade away his team captain in back-to-back seasons: Dax McCarty and Kljestan. He’s groomed Tyler Adams into a budding star, turned loose a very good player in Daniel Royer, and for 2018 has brought in yet another midfielder, Marc Rzatkowski, who will be pushing several players for starts. A look at the Red Bull roster reveals a team with a very strong spine and intriguing names everywhere else. Backed by outstanding keeper Luis Robles – named as captain by the coaching staff but apparently not in danger of being traded – the Red Bulls are capable of a top-four finish. A tale of two stadiums. Not. We refer, of course, to D.C. United and the New England Revolution. On July 14, Audi Field will open and officially end the 22-year occupancy of RFK Stadium by D.C. Alas, the wait for Revs fans is destined to be much longer as they evaluate the wisdom of team management for hiring former USA international goalkeeper Brad Friedel as head coach. D.C. United fans have tolerated miserable finishes in two of the last three seasons and still not finalized is where the team will play its two "home" games until Audi Field hosts its first game July 14. In effect, United starts the season with 14 road games, as if head coach Ben Olsen didn’t have enough on his plate after losing 20 games and winning just nine. Take just one of his headaches. Keeper Bill Hamid committed a few gaffes yet for years rescued far more points than he lost. In his place is David Ousted, a Goalkeeper of the Year runner-up for Vancouver three years ago but not at all impressive the past two seasons. Or he can go with Steve Clark, who backstopped Crew SC to the 2015 MLS Cup final. Multiply that scenario by a half-dozen and you have an idea of what Olsen has grappled with since last October. United pulled off a bit of a coup by nabbing Yamil Asad, who lit up the left flank for the other United, Atlanta, last year. It has moved around a bunch of other pieces but aside from Paul Arriola and one or two other positions is very much like its first two home games. New England finished in seventh, five points out of the playoffs. Friedel takes over a team that has won just three road games in the past two seasons and didn’t have top producer Lee Nguyen (11 goals, 15 assists in 2017) until he ended his holdout two weeks into preseason. The Revs have not acted on his trade request but Friedel must every game decide if he starts or sits, and there are many other issues to sort out as well. In a perfect world the Revs get enough offensive production from Juan Agudelo, Diego Fagundez, Kelyn Rowe and Krisztian Nemeth the offset the trade of Kei Kamara and the bad mood of Nguyen. They also need to shore up a defense that leaked 61 goals last year to edge into the playoff tier. Friedel is certainly a demanding coach, but in this ruthless conference he’ll also need to be a very clever one. Fate of Philly. Weeks of negotiations paid off for Philadelphia, which on Wednesday officially landed playmaker Borek Dockal, a native of Czech Republic who comes to MLS in a loan transfer from Chinese club Henan Jianye. In his club career -- including stints at Slavia Prague, Sparta Prague, and Norwegian power Rosenborg -- he has scored 79 goals and registered 93 assists. He’s also been capped 35 times by his country. Tacked onto the blockbuster trade by which Philly parted with $1.2 million of allocation money for winger David Accam, this offseason has been by far the most dramatic since head coach Jim Curtin replaced John Hackworth midway through the 2014 season. The Union also used Targeted Allocation Money to buy down Accam’s salary-budget charge to free up a Designated Player slot for Dockal. It has spent some money and now that investment must pay off. Questions remain regarding the Union. Keeper Andre Blake is among the elite at his position and centerback Jack Elliott seems capable of reaching that status but overall defensively Philly has not been good enough. Adding Accam and Dockal to the firepower of C.J. Sapong won’t produce enough points in the standings if Philly cannot finish games strongly. Southern bells. The darlings of MLS last year look even more alluring heading into the second season of Atlanta United, while Orlando City has re-cast the image created by former captain Kaka. Unfortunately, the league must wait for its first real look at super-signing Ezequiel Barco, who will miss four to six weeks after straining his quadriceps. Atlanta United has plenty of ways to make up for his absence, with teenager Andrew Carleton among the candidates, and the sale of Carlos Carmona to Colo Colo opens up another position to competition. Viewers will also be watching how as to how well former Timber Darlington Nagbe has slotted into the plans of head coach Gerardo ‘Tata’ Martino, and whether the team can avoid a late-season slump that led to an upset loss against Columbus (3-1 on penalties after a 0-0 tie) in the Knockout Round. One way to avoid elimination in that manner is to finish or second, and a few prognosticators have Atlanta United doing just that. A full season at Mercedes-Benz Stadium seems tailor-made for another league attendance record. The Barco injury is a very tiny cloud in an intensely sunny Atlanta sky. For about a season and a half Jason Kreis has been at the helm of Orlando City but now that the Kaka influence is gone, his mark is to be made. The loss of striker Cyle Larin in a messy transfer to Turkish club Besiktas may linger longer, but the club had to make do without him during his DUI suspension and the signing of Stefano Pinho, who scored 17 NASL goals for Miami FC last season, is one of several moves in that direction. Sacha Kljestan and Justin Meram bring a lot of attacking impetus and league experience, and ex-SKC midfielder Oriol Rosell might be one of the sleeper deals of .the season. For the past two seasons, besieged keeper Joe Bendik has been called to action far too often. If he is fronted by a competent defense, the Lions can contend for postseason dates. The corridor of opposites. No freeway directly connects Chicago to Columbus, and the 5 ½-hour drive on Interstates 70 and 65 through Indianapolis links the cities of a team on the up and one mired in doubt and angst. Prior to a devastating Knockout-Round loss (4-0!) to the Red Bulls, Chicago shot up the standings and for several months looked capable of a deep playoff run. It stalled out late when the goal well ran dry for Nemanja Nikolic, but much of that cast is back, and head coach Veljko Paunovic has brought in Aleksandar Katai, a compatriot from Serbia who is penciled in to take Accam’s spot on the left flank. Bastian Schweinsteiger signed on for another season and with Juninho gone, someone else needs to be ready in case Schweiny or Dax McCarty needs a night off. Hermann Trophy winner Jon Bakero is a player to keep an eye. The Fire will start the season with questions in goal. Former Mexico U-17 and U-20 keeper Richard Sanchez, who played his first two MLS games after signing with the team in August, is the only holdover with league experience. All that is certain in Columbus is that operator-investor Anthony Precourt wants to move to Austin and there’s no telling if and when he’ll be able to do so. Head coach Gregg Berhalter steered his players to the Eastern Conference finals despite the distraction but the doubts have been festering for several months. 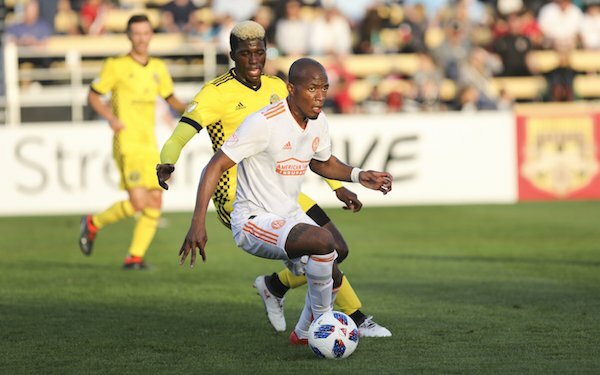 The trades of Ola Kamara (Galaxy) and Meram (Orlando City) have left the fan base concerned, and not unless Gyasi Zardes can replicate his preseason scoring when the games get real will that feeling fade. Midfield veteran Ricardo Clark is a good guy to have around but how much is left at 35? Midfielders Wil Trapp and Federico Higuain are very good at what they do and keeper Zack Steffen was off-the-charts last year. Crew SC has jumped on the South American youth bandwagon by signing midfielder Eduardo Sosa (Venezuela, 21) and defender Milton Valenzuela (Argentina, 19). Journeyman Mike Grella, like Clark, is an experienced guy who can eat up minutes. "Wait and see" is not a great way to start a new season.